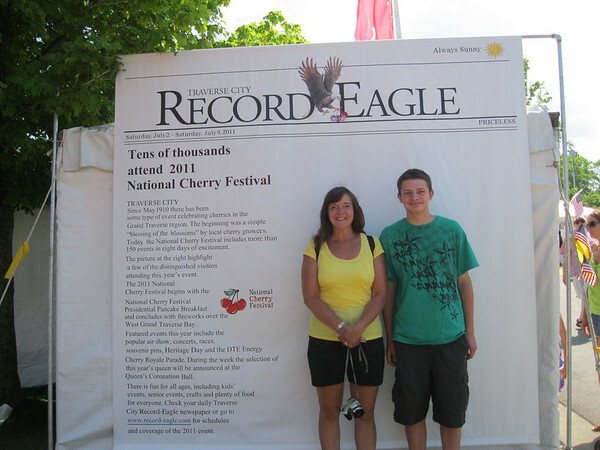 Visit the Record-Eagle booth at the Cherry Festival and get your "Distinguished Visitor" photo taken! Download your photo here for free, or buy a reprint. To download your photo: Click the thumbnail image, and once the larger photo loads, right-click on the image and choose the Save option. To purchase a reprint: Click the thumbnail image, and once the larger photo loads, click the Buy button above the photo to the right.